This is a weekend of teambuilding and lectures with a guest scholar/practitioner. This year’s Guest Scholar is JAKE SHERMAN (A’95, EPIIC’96). Jake Sherman has been Special Adviser on UN Management and Reform at the United States Mission to the United Nations since 2015, where he focuses predominately on peace and security issues, including UN peacekeeping. 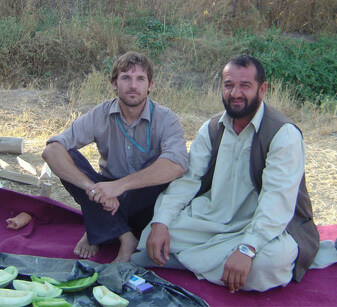 From 2012-2015, he worked for the U.S. Agency for International Development as the Afghanistan and Pakistan Regional Team Leader for USAID’s Office of Transition Initiatives, overseeing stabilization and countering violent extremism programs, and as the Agency’s coordinator for the 2015 Quadrennial Diplomacy and Development Review. Previously, he has worked on UN policy and Afghanistan-related issues for the New York University Center on International Cooperation and the International Peace Institute. He has also served as a Political Affairs Officer for the United Nations Assistance Mission in Afghanistan, as a consultant for non-governmental organizations in Cambodia, and for Physicians for Human Rights in the former Yugoslavia.